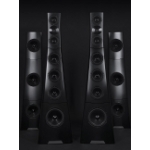 Show Report: Sony - YG Acoustics. 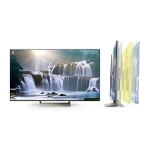 … and the XE94 and XE93 Android-based TV-sets, with 77-inch (XE-94) and 65/55-inch (XE-93) LED/LCD panels. All sets support 4K/HDR and feature the new X1 Extreme video processor. 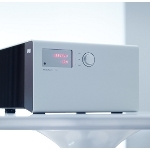 Soulution demonstrated their new 511 Stereo amplifier (debuted during the last Munich High-End show), a device featuring on a switch-mode power supply based on the one used series 7. The amp delivers 2x140/280/560W in 8/4 /2l Ohm loads respectively. Sproutbox Design presented Aivia, a wireless loudspeaker that stands out thanks to its large 8-inch touch screen, covering its entire front panel. Based on two full-range drivers and a base-mounted subwoofer, offers audio and video streaming over Bluetooth and WiFi. The device features a 10.000mAh battery (offering five hours of battery life) and can wirelessly charge compatible mobile phones. SweetVinyl presented an interesting device, the SugarCube, whose basic function is the digital de-clicking of vinyl records. 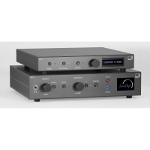 It is available in two versions, the SC-1 which is an AD/DA converter, mainly for playback and the SC-2, a complete unit which includes a USB output to convert LPs to digital files. Both devices offer music recognition and metadata search. TAD presented their new loudspeaker, the Micro Evolution One. 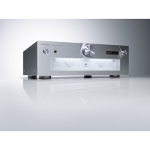 It features a new 160mm coaxial midrange/high-frequency driver. The tweeter diaphragm uses beryllium and the mid driver features a magnesium cone. Overall, the new driver can deliver the whole audio band from 420Hz up to 60kHz. Low-frequency loading uses the well-known TAD approach (a slot on both sides of the cabinet) with horn-like tubes. After their first, tentative, efforts, it is clear that Technics intends to develop a whole series of high-performance audio equipment. 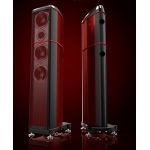 This year, they showed the Grand Class SB-G90 loudspeaker, a three-way, time aligned design, featuring a coaxial driver with an aluminum dome tweeter and aluminum cone midrange, with an upper-frequency limit of 100kHz. 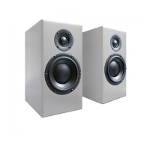 Two 160mm woofers are used for the low-frequency part of the audio spectrum. 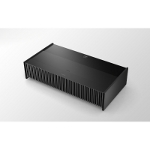 … and the power amplifier SE-R1, also featuring a switching output stage. The SE-R1 uses Technics' LAPC technology to adapt to the loudspeaker load behavior, by actually measure both the impedance amplitude and phase. Last but not least, there is another version of the everlasting "1200", the SL-1200GR, which is a more affordable version of 1200G. 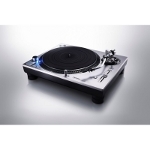 The turntable features a single rotor direct drive motor (instead of the dual configuration of the more expensive model), an aluminum (instead of magnesium) tonearm tube and a lighter chassis construction. Price is expected to be almost half of the price of the "G" version. 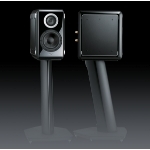 Thiel Audio presented the 40 Series, to celebrate their 40-years anniversary. The products in the series are all manufactured in their entirety in the US. 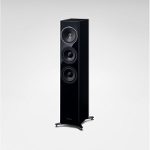 The series consists of three loudspeakers, the top-of-the-range 4-way floorstanding 40.3 (photo), the three-way floorstanding 40.2 and the two-way stand-mounted 40.1. 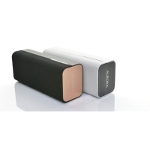 The same company, also demonstrated the Aurora LifeStream Tour wireless loudspeaker, featuring two full-range drivers loaded by a passive radiator. 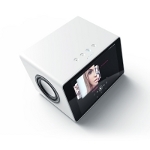 The device streams audio via AirPlay, Play-Fi, and Bluetooth but can, also, be connected through both analog (TRS 3.5mm) and Ethernet. 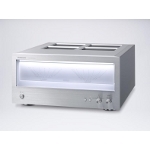 It offers bass alignment to compensate its position in the room and a battery life of about 9 hours. Totem unveiled the new Sky compact loudspeaker, a 2-way design with a soft 33mm dome tweeter and a 5-inch long excursion woofer, with a 3-inch diameter voice coil. 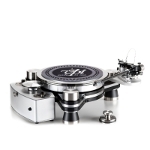 VPI's Avenger Plus adopts the same drive method as the top-of-the-range Titan (rim drive, with direct flywheel/platter contact and belt transmission from the motor to the flywheel) but has a significantly lower cost (close to $15,000). The turntable comes with a Nordost-wired, JMW-12-3DR tonearm. 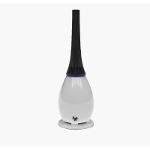 Waveion's Model One is founded on a principle which is somewhat reminiscent of the ion tweeter, although on a much larger scale since we are talking about a full range system. The sound is produced by a column of air whose pressure varies due to the ionization of the molecules inside the cabinet. The loudspeaker acts as an omnidirectional source. 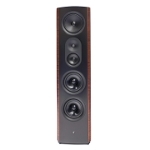 Wilson Benesch presented the latest A.C.T. One Evolution P1 in last year's Munich High-End Show and its most obvious feature was the use of colored carbon fiber in the construction of the cabinet, a material developed by Hypetex. 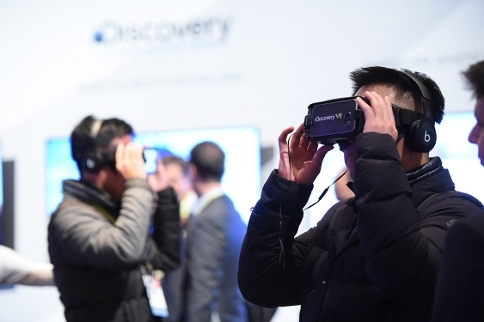 At CES, the company's efforts were tangibly rewarded (Innovation Awards, CES 2017). The visitors had the opportunity to see up close and listen to YG Acoustics' flagship loudspeaker, the Sonja XV. It is an impressive structure (wit a total pair weight of 1,300kg) which features separate cabinets for the very low-frequency signals and takes advantage of all of the company's innovations. It is a way of celebrating YG's 15th anniversary.